40. Out of the Past- My favorite film noir has Robert Mitchum as a man who has put his shady past behind him and found love with a good woman in a small community where he operates a gas station. But, as is often the case in the movies, his past catches up with him when a former acquaintance passes through town. With its contrasts of bright lights and dark shadows, Out of the Past is a visual feast. It’s also a compelling tale of a man pulled back into the shadows of his past—no matter how hard he tries to escape them. Kirk Douglas nails the manipulating villain; too bad he didn’t play more bad guys. Yet, despite the presence of Mitchum and Douglas, the film belongs to Jane Greer, an underrated and under-utilized actress who created one of the genre’s best femme fatales. 39. The Andromeda Strain – This superior science fiction outing pits four dedicated scientists against a microscopic menace capable of destroying all life on Earth. Its critics have labeled it slow-moving and overlong, but I find it intellectually exciting. Its thrills come not from action sequences (though there’s a doozy at the climax), but from the time-sensitive need to determine: What is the Andromeda Strain? How can it be destroyed? Why did a 69-year-old man and a six-month-old baby survive when Andromeda wiped out a New Mexico town of 68 people? Part of the appeal for me is that The Andromeda Strain includes one of my favorite plot devices: the forming of a team in which each member is introduced to the audience. 38. 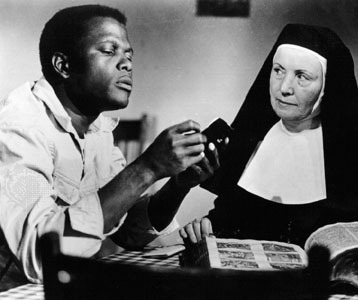 Lilies of the Field – A quiet film that has grown in my affection, Lilies contains my favorite Sidney Poitier performance. His Homer Smith is a stubborn man who is delightfully at odds with himself… and with a savvy Mother Superior. A drifter, Homer stops at a small farm run by nuns in the Arizona desert. He agrees to do a small roof repair and winds up building a chapel. The gentle conflict between Homer and the Mother Superior (wonderfully played by Lilia Skala) forms the heart of the film. But I also love how Lilies captures the flavor of the community, encapsulated in my favorite scene in which some local workers gradually force their assistance on Homer as he builds “his” chapel. 37. In the Heat of the Night - This racially-charged mystery, 1968’s Oscar winner for Best Picture, has aged gracefully over the years. The secret to its success can be attributed to its many layers. Peel back the mystery plot and you have a potent examination of racial tension in the South in the 1960s. Peel that back and you have a rich character study of two lonely police detectives, from completely different backgrounds, who gradually earn each other’s respect. Sidney Poitier and Rod Steiger shine in the lead roles and Sidney delivers one of my all-time favorite lines of dialogue. 36. Executive Suite - The president of Tredway, the nation’s third-largest furniture manufacturer, dies unexpectedly in the opening scene. With no successor named, the company falls into the hands of five vice-presidents with equal authority. Since Wall Street viewed Tredway as a one-man company, the VPs realize the criticality of naming a a new president over the weekend—thus creating a high stakes battle for company control. The all-star cast (which includes Holden, March, and Stanwyck) is in fine form. However, it’s the film’s theme of quality vs. profit that always intrigued me. Indeed, I first saw this film in a college business course. It’s often compared to Rod Serling’s Patterns, another corporate drama made in the 1950s. 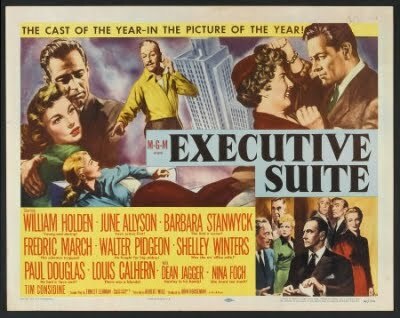 It’s very good, with a killer ending, but Executive Suite is more entertaining. 35. To Kill a Mockingbird – For many fans, this film’s appeal lies with its literary origins and Gregory Peck’s powerhouse performance. While that’s also somewhat true for me, my favorite part of Mockingbird is its portrait of a time and a place through the eyes of a child. I don’t think any movie has done a better job of that (my runner-up is the French two-part film My Father’s Glory/My Mother’s Castle). Additionally, Mary Badham and Phillip Alford give incredibly naturalistic performancea as the children. Badham was equally good in This Property Is Condemned. Mockingbird is full of magical moments, with my favorite being Atticus’s formal introduction of Boo Radley. 34. 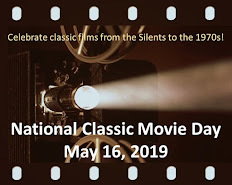 Von Ryan’s Express - Released in 1965, just two years after The Great Escape, Von Ryan’s Express also tells the tale of a daring escape from a prisoner-of-war (POW) camp during World War II. While both films split their running times between scenes inside the camp and outside the fence (once the prisoners break out), the similarity ends there. A near-perfect blend of suspense, intense action sequences, and occasional humor, Von Ryan’s Express takes off when the prisoners hijack a German train. OK, I admit I’m a sucker for train movies—but this one is a gripping thriller with a flawed hero well-played by Frank Sinatra. I always thought Sinatra was an odd star, capable of excellent performances (here and in The Manchurian Candidate) and truly awful ones (The Detective). 33. Picnic – William Holden stars as a handsome drifter who wanders into a small town to see old chum Cliff Robertson…and inadvertently steals his girlfriend Kim Novak. Based on William Inge’s play, Picnic is about taking chances, whether it’s in the pursuit of passion (and perhaps love) or whether it’s two lonely middle-aged people willing to take a chance on each other. I know film buffs who may cringe when I say it, but Picnic is at heart a big screen soap opera—and that’s not a bad thing. My Mom loved this genre and when I watched these soaps with her as a kid, I called them “people stories”—apparently because characters talked a lot instead of engaging in swordfights, hunting vampires, etc. 32. The Leopard Man – Set in a small New Mexico town, this fascinating Val Lewton-produced suspense film concerns a black leopard that escapes during a foolish publicity stunt. When a young girl is found clawed to death, the leopard is blamed—but was it the killer? Leopard Man is justly famous for what Exorcist director William Friedkin once called "one of the greatest horror sequences ever filmed." However, it’s more than a one-trick pony. I’m surprised that film critics rarely note its complex, interweaving narrative structure in which the plot sometimes zigs and zags as the characters interact. I can’t think of many other films like it, except for La Ronde, in which the narrative device is much more obvious. 31. Quatermass and the Pit – Construction workers uncover the ancient skulls of “ape men” while working in a deserted underground subway station in the Hobbs End area of London. A scientist dates the ape men’s remains as five million years old, making them the earliest known ancestors of humans. His work comes to a sharp halt, though, when the excavations unearth a large metallic-like object in the rock. Is it a bomb? A spacecraft? And what does it have to do with stories of former Hobbs End residents claiming to have heard odd noises and experienced visions of “hideous dwarfs”? Writer Nigel Kneale hatched this incredibly inventive melding of science fiction and horror, the third film in the Quatermass series. Too many films are labeled “one of a kind,” but this little gem truly fits the definition. Next month, I’ll count down the next ten, which include a gimmicky mystery, the greatest color film ever made, and a whole lotta dogs. Wow, these are good ones! Great picks! My favories are - well, all of them except Von Ryan's Express, and that's only because I haven't seen it. I think The Andromeda Strain is one of the best intellectual sci-fi's ever made. Poitier's movies are so good, very different characters, done beautifully. I love the dinner scenes in Lilies where the hungry Homer sees a single egg on his plate. And of course the controversial slap scene in Heat still to this day has punch (haha). I loved Executive Suite for just the reasons you gave. Mockingbird is just moviemaking at its best - the scene with Boo Radley always brings a tear, and Atticus reminds me so much of my Dad it's almost hard to watch. I adore Picnic, but you are quite right-it's a soap opera type on a grand scale. Who cares? It is so romantic, and Rosalind Russell really steals the show. It's been said that Holden looked too old for the part, but you know what I think was a big mistake in that regard? Casting Cliff Robertson as his college friend, who looks about 18! If they had cast someone similar to Holden's age, it wouldn't have stuck out like a sore thumb. Leopard Man is one of Lewton's best, and I love Lewton. Quatermass movies are favorites of mine. Am I crazy? (don't answer that). Was this movie ever released under a different name? I could swear it was. I don't think "Quatermass and the Pit" will ever lose the power to mess with my mind. "The Leopard Man" is a dandy! It is the unique nostalgia of "To Kill a Mockingbird" so perfectly expressed in Bernstein's score that gives that movie a place in my heart. "Lilies of the Field" is the favourite of every male in my family including my special needs son. He seems to look upon Homer Smith as a friend. "People stories" - I like that. Rick, wonderful "favorite" picks, I also love the films, Out of the Past, which is kind of a "new to me" film, Executive Suite, Stanwyck.. is such a great actress and To Kill a Mockingbird, a powerful film, one that I will never forget. The film, Picnic, which used to be a favorite of mine.. but, I think I have seen maybe one too many times. Where to begin, where to begin? I loved most of these choices, Rick. And you brought back to mind a couple of films I haven't seen in ages! QUATERMASS AND THE PIT - wow! I thought this film had a totally different title. But I remember the story so it must be the same film I saw many years ago. I really would like to see this again sometime. IN THE HEAT OF THE NIGHT is probably my favorite film on the list. Much as I love Sidney Poitier in it, it's Rod Steiger who steals the picture for me. He is magnificent. EXECUTIVE SUITE was also a terrific film. Yes. Short story about THE LEOPARD MAN. And by the way I've never seen this film on anyone's Best Of List before, so this is a first. I saw this film when I was a kid and was so frightened by the 'famous' horror sequence that I could never watch the film again for years and years. I had nightmares. I still say it's the most frightening film I ever saw as a kid. To this day I have trouble watching this and have only seen it once. For this reason alone if no other, it sticks in my memory. I've never seen THE ANDROMEDA STRAIN, but I definitely plan to. Your countdown is really heating up as we get closer to the top ten, Rick! I can answer a question about the other name of "Quatermass and the Pit" for Becky and Yvette. That alternate name is "Five Million Years to Earth." I bask in the the warmth of both "To Kill a Mockingbird" and "Lillies of the Field," the latter featuring my favorite Sydney Poitier performance. I enjoy hearing him singing "Amen," especially at the film's end. And you are spot on with your observation about the innocence of childhood being perfectly captured in "Mockingbird." The children are quite believable and you truly feel as if you share a slice of their life with them. It is a wonderful story in the hands of a gifted director. I love the diversity of your choices. It is wonderful to see "The Leopard Man" share the spotlight with "Picnic" and "In the Heat of the Night." Movies can really impact our lives in such different ways. Great job, Rick! Yvette, Rick - I like to try and remember things on my own, but like you, Yvette, I was just sure this had a different name and I couldn't remember it. So I gave in and looked it up (I couldn't help it!) It was Five Million Miles To Earth for U.S. release. I feel so much better! Thanks, Toto, for providing the U.S. title of FIVE MILLION YEARS TO EARTH for QUATERMASS AND THE PIT. The first two QUATERMASS films are interesting, but hampered by a miscast Brian Donlevy as Quatermass. The last in the series, THE QUATERMASS CONCLUSION, was actually a four-hour miniseries edited into a movie. It boasted a small budget, but a fine performance by John Mills in the title role. Still, Andrew Keir is the definitive Quatermass for me. Caftan Woman, I also love the haunting, wistful score to TO KILL A MOCKINGBIRD. Yvette, I saw LEOPARD MAN as a youth and then not again for probably two decades. That one scene stuck with me throughout the years and still had an impact when I saw it as an adult. Dawn, I know what you mean about seeing a fave too many times, through I haven't reached my limit yet with PICNIC. Becky, Ralph Meeker originated the Holden role in Broadway's PICNIC. I cannot imagine that...at all. Gosh, I thought I had made the discovery, and I did for myself -- must not have taken in that Toto got it first! Rick, I saw pictures of Ralph Meeker on Broadway in Picnic -- he was very handsome and perfect build. Hard to believe being used to movies I've seen him in. Janice Rule played Kim Novak's part - she was a gorgeous girl - those eyes! Thanks for the title search, Becky. I knew I'd seen it, but totally did not recognize the title. At one time Janice Rule was voted the most beautiful woman in either the world or Hollywood. But I can't remember the details. 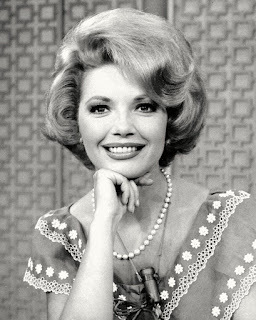 She was something else. Died too damn soon. This is some task and I commend you. I look forward to the rest of the list and have to go back to see the beginnings of this endeavor! Of the films on this list I have two comments -saw "Out of the Past" for the first time a couple of weeks ago. Was absolutely floored by its beauty. Amazing cinematography! Instantly Became my favorite Noir in that regard. And, "To Kill a Mockngbird" would be much higher on a list I would have, IF I ever had a list, which will never happen. Love this film, its fabric. love these characters, their heart. Features the greatest hero in all of American film in Atticus Finch. For my money, anyway! Thanks for sharing this list. Great to read! What an interesting list, Rick. I share your love of train movies and "Von Ryan's Express" is one of my favorites. "Picnic" I have on the Kim Novak DVD collection and it's been years since I've seen it, so I need to remedy that. There's a lot of people in that cast I like and I'll watch William Holden in anything. Which leads me to "Executive Suite" which I haven't seen in ages. I think I was too young to appreciate it so am anxious to re-visit. Holden had a lot of interesting assignments in the 1950s. The Quatermass pic is a real winner as well, and one of the crown jewels in the Hammer crown. Andrew Kier is my favorite professor as well. Brian Donlevy was too grumpy for me. "The Leopard Man" is a curious film for me. I remember the famous sequences in it but hardly anything else. So whenever I see it its like watching it for the first time. It's very odd that way. I know I've seen it several times and I can barely remember it. And I love the Lewtons. Dennis O'Keefe was one of those guys who was never a major star but I always enjoyed watching. "To Kill a Mockingbird" is one of the best films ever made where events are seen through the eyes of the child. As always, looking forward to the remainder of the list. Another batch of great selections. 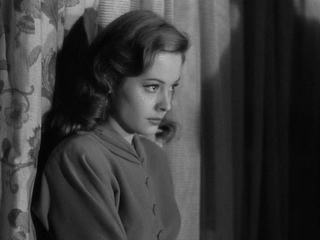 OUT OF THE PAST is one of the greatest film noirs, one of a few I try to watch at least once a year. I always had a fondness for VON RYAN'S EXPRESS and feel the same way about Sinatra that you do. He can be great and then there are times he just seemed to walk thru a role. TO KILL A MOCKINGBIRD ( I give cheers to Robert Duvall as Boo Radley), PICNIC, LILIES OF THE FIELD, EXECUTIVE SUITE are all great selections. My only reservations is with IN THE HEAT OF THE NIGHT which I have some problems with. The other films I have not seem. Looking forward the the remaining countdown!